Created by Chris Moore and Fabrizio Fiorito. 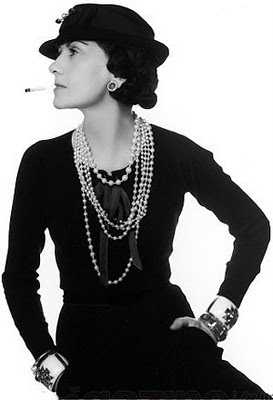 Coco changed the course of fashion history and she also loved to drink. She was known for believing that red wine and caviar would keep her young. Champagne was also a favourite tipple. Grey Goose infused with rose and jasmine, Lillet Blanc, Red Wine and Blackberry Reduction, Moët & Chandon 2004. Served in an 1890’s wine glass and garnished with jasmine and rose tea spray and black sugar pearls presented in a small caviar tin.